I received products for review by Christian Art Gifts. All opinions of these products are 100% mine. This post may contain affiliate links. Come and join the My Creative Bible and My Favorite KJV Verses Coloring Book Giveaway. It’s a great way to start your bible journal. Welcome to another bible giveaway which is so special to my heart. It’s almost Easter and I just wanted to share with everyone more about my Bible journaling experience. 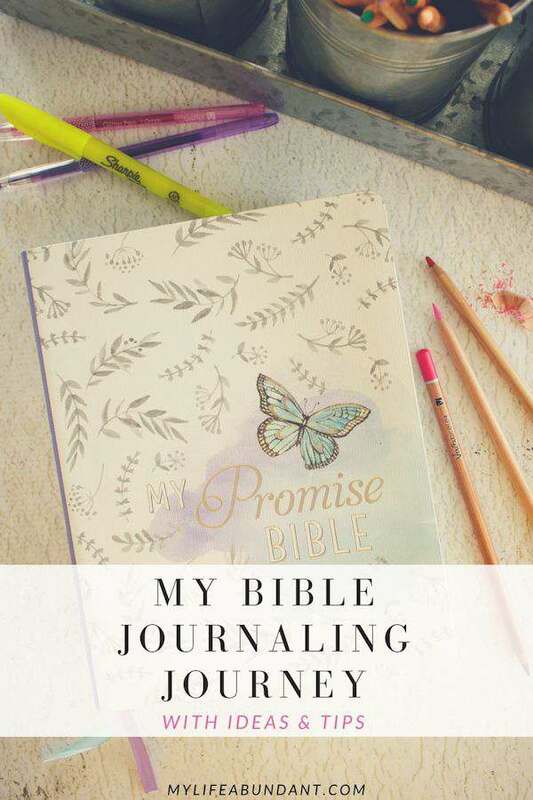 I’ve been using my beautiful KJV My Promise Journaling Bible from KJV Bible Store and have truly loved how it has helped me learn more about the bible. All the areas to write notes and all the graphics areas to color remind me of my favorite verses or sermon notes. 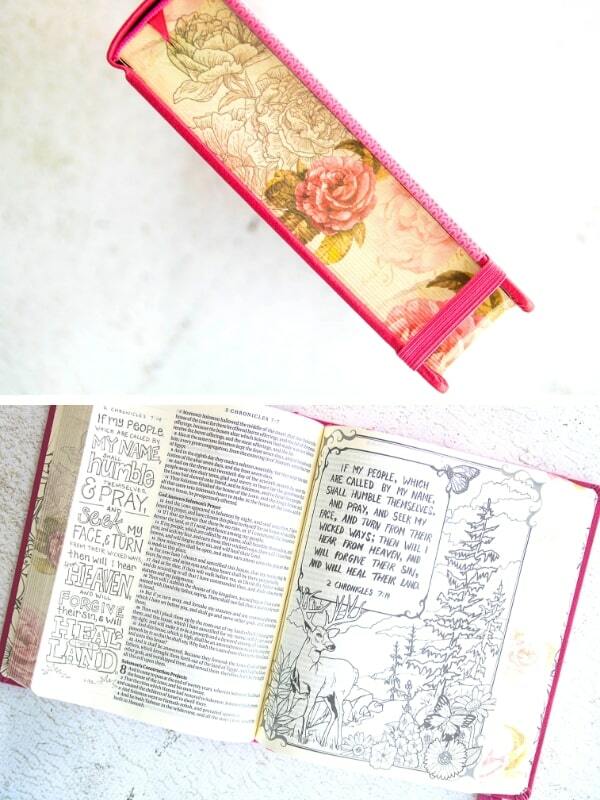 You can read more about my Bible Journaling Journey with ideas & tips to learn from. My Creative Journaling Bible is just beautiful. I love the way these journal bibles are laid out. The cover color is one of my favs and the graphics which run along the edge are so beautiful. Right now I am digging deep into Acts and learning more about living my life full of grace and knowing that my sins are forgiven. 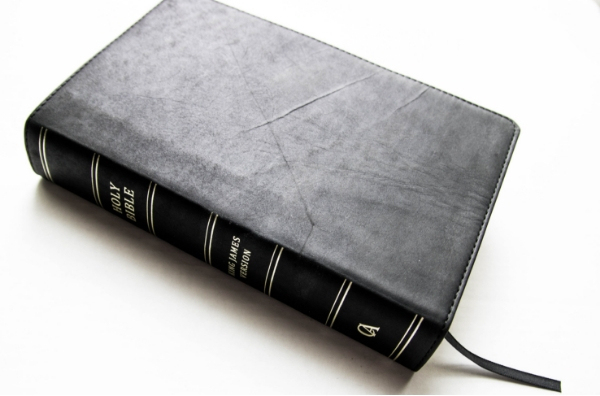 If you are looking for a classic Bible, check out the Premium Leather Black KJV Bible Giant Print at KJV Bible Store. The leather quality of this bible is like none I have ever seen before. Mr. G fell in love with this bible and with the giant print, it really helps his aging eyes see the words much better. I also have a large print bible, but it’s really large and heavy. This giant print bible is a perfect size and weight for anyone to carry. There are other colors to choose from too. The perfect Bible for an Easter gift. Now on to the giveaway…….. I want to thank Christian Art Gifts for all the wonderful items in this giveaway. 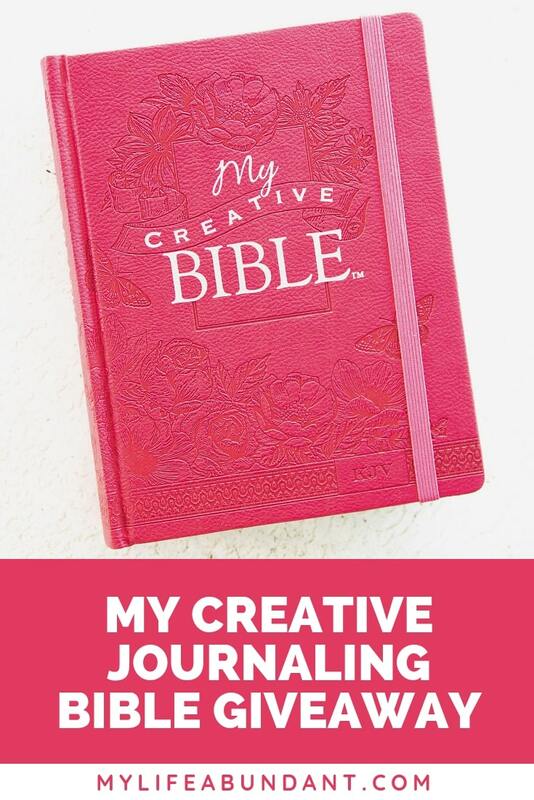 The giveaway consists of a KJV My Creative Journaling Bible and My Favorite KJV Versus Coloring Book. The giveaway will end midnight on Friday, April 5th. The winner will have 48 hours to respond to the email claiming the prize. If we don’t hear in 48 hours, we will choose another winner. The giveaway is open to anyone over 18 years of age and only for USA citizens. I would like to purchase any of the Scripture coloring cards. I am beginning to feel a little more comfortable with my attempts at journaling in my Bible but still have a ways to go. Most of the time, I just feel rushed and not able to put the time into it that I would like. You always inspire me. Thank you! Thanks Leslie. I seem to be learning much more about myself while I journal. Thanks for stopping by. I just came across this giveaway on Twitter and visited the Creative Art Gifts website. I like the spiral-bound journals because they’re easier to use in church for taking sermon notes. I had a house fire. I am waiting on the Lord. Waiting on insurance is very hard. Praying and leaving my faith in God.